Sounds like the basis for a class action lawsuit to me. The Chumph is making his properties meeting places for government meetings, events, and even strong-arming foreign visitors to stay at his chintzy Hotel, Taking away legitimate business from much higher quality establishments and even smaller restaurants in the city. One owner has stood up to this Chumph blackmail and fraudulence…Perhaps more will join. The owners of a wine bar in Washington, D.C., say they face unfair competition from an unusual source: the president of the United States. Diane Gross and Khalid Pitts own the Cork Wine Bar, located about 20 blocks north of both the White House and the nearby Trump International Hotel. Gross and Pitts say that their restaurant is losing business to the hotel restaurant run by the Trump Organization, which is owned by President Trump. So they’re suing him and his hotel. “We feel that the president of the United States, owning a hotel, owning restaurants, promoting those restaurants, is unfair and to the detriment of other businesses in the city,” Pitts said at a press conference Thursday. Pitts and Gross were joined by a platoon of lawyers to announce the lawsuit filed in D.C. Superior Court. The case involves Trump’s hotel located in a taxpayer-owned building, known as the Old Post Office Building. In 2013, the federal General Services Administration leased the historic building to the Trump Organization, which opened the hotel in the fall of 2016.
can be on the lease or benefit from it. for lobbyists, political players and foreign diplomats. The GSA hasn’t publicly addressed the lease since Trump took office. An agency spokeswoman said it had no comment. The lawsuit cites examples that it says show the president, his family and administration officials were seeking to boost what the lawsuit calls the hotel’s income-producing potential. The suit, filed on Wednesday, seeks no monetary compensation. Instead, the plaintiffs want Trump to divest from the hotel or close it for the duration of his presidency. At the press conference, lawyer Steven Schooner said an elected official shouldn’t be competing with the private sector. “It’s an unacceptable conflict and nobody ever intended that this be tolerated,” he said. Not sure who the Chef here thought he was dealing with – but dealing with uber-rich south westerners is a bit of a different world. They generally aren’t real up-to-date on cultural sensitivities so what they say isn’t filtered through a lens of cultural or racial appropriateness. You need to take them literally, because they don’t always express themselves in filtered or culturally appropriate terms. They tend to regard personal relationships as more important. Develop and earn that relationship and you are a friend for life no matter what you are. Deal with it. It doesn’t mean they are racist. Have never met Mr. Pickens, but have worked for a company which competed against his – and he is a tough customer. I would not expect him to back down on principle, or in this case due to a weak case against his ex-wife. I think this Chef was trying to make something…Out of nothing. Madeleine Pickens wanted the African-American chef she recruited from the country club she owns in Southern California to cook “black people food” — not “white people food” — at her rural Nevada dude ranch and wild horse sanctuary, according to a federal lawsuit accusing her of racial discrimination. Armand Appling says the wealthy philanthropist and ex-wife of Oklahoma energy tycoon T. Boone Pickens told him fried chicken, BBQ ribs and corn bread would be perfect for the tourists who pay nearly $2,000 a night to stay in plush cottages, ride horses and take Wild West “safaris” on ATVs at her Mustang Monument Wild Horse Eco-Resort. Appling alleges he was fired 2014 in retaliation for complaining about a hostile work environment. He says Pickens’ stereotypical references were commonplace at the Elko County ranch stretching across 900 square miles on the edge of the Ruby Mountains about 50 miles west of the Utah line. Among other things, he says Pickens, who is white, instructed him to terminate two other black kitchen staffers — one she referred to as her “bull” or “ox” and another who had “too much personality.” He says she told him they didn’t “look like people we have working at the country club” and didn’t “fit the image” of the staff she wanted at the ranch. Pickens’ lawyers argue that even if all the allegations are true, none of her comments were racially motivated. At worst, Pickens’ remarks “reflect a non-racial personality conflict and amount to discourtesy, rudeness or lack of sensitivity,” they wrote in recent court filings. U.S. District Judge Miranda Du said during a hearing in Reno last week that Appling’s lawyers have failed so far to prove the sort of racial hostility needed to win such a civil rights claim. She dismissed the original lawsuit that was filed in February but gave them until Jan. 13 to refile an amended complaint seeking unspecified damages from Pickens’ nonprofit, Save America’s Mustangs. “It takes a lot to prove these allegations,” Du told California attorney Willie Williams on Thursday. Lane said categorizing foods by ethnicity is commonplace in the restaurant industry. Some restaurants serve Mexican food, others Chinese or Thai food, she said. Williams said Pickens’ comments about the fired employees “not fitting in” reinforces a long history of African-Americans not being allowed into elite, private-club settings. 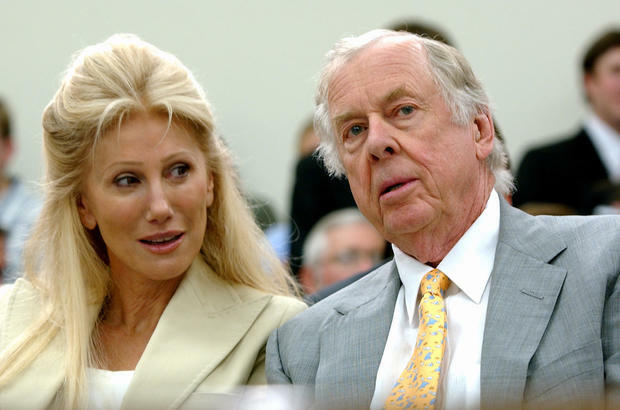 Pickens owns the exclusive Del Mar Country Club north of San Diego where Appling worked before she hired him for a 5-month stint in Nevada. “Indeed, Appling does not allege that he ever heard any overtly racial epithets, such as the ‘N-word,’” she wrote in court documents. But Williams told the judge last week the comments must be viewed in the context of racial stereotypes. “If the alleged comments were not directed at him, but others who look like him, it may affect his work environment,” the judge said. The strangers allegedly argued about the election. Then he hit her. A man punched a woman in the face at a popular French restaurant in Brooklyn after she expressed disappointment about the election of President-elect Donald Trump, according to reports from restaurant staff and witnesses. 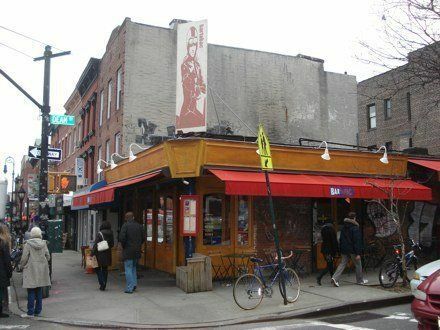 On Saturday night, a 49-year-old woman who has not been publicly identified was at Bar Tabac in Boerum Hill with a female friend. According to Jonas Leon, the manager who was working that night, the two women were discussing the outcome of the election when a man at a nearby table got into an argument with them. The man asked the manager to kick the women out of the restaurant. Instead, Leon moved the man and his dining companion to another table. The man paid for his meal and left the restaurant, Leon said, before sprinting back in and punching one of the women square in the face. Leon told DNAInfo that the assault was because of politics. “The guy who punched the girl was pro-Trump for sure,” he said. One witness, Katie Nave Freeman, told DNAInfo that she was dining at the eatery when she heard people yelling “call 911.” She saw a woman in the back of the restaurant with her hands over her face. An NYPD spokesman confirmed to Gothamist that an assault occurred at the bar. The woman did not suffer any visible injuries and refused medical attention. No arrests have been made in the case. On Monday, Bar Tabac posted a statement about the incident on Facebook. We at Bar Tabac do not condone violence of any type or manner, especially in our own establishment; to the tough guy who assaulted a female patron of ours on Saturday night over a political conversation: Once the law is done with you, do not come back to Bar Tabac (this includes your partner). At a point in this nation when tensions are highest we need to come together now more than ever, we apologize to any customers who had to witness this vulgar outburst. In the aftermath of Trump’s surprise election, there has been a slew of reports of racist, anti-Semitic and anti-women attacks by Trump supporters. “Since the election, we’ve seen a big uptick in incidents of vandalism, threats, intimidation spurred by the rhetoric surrounding Mr. Trump’s election,” Richard Cohen, president of the Southern Poverty Law Center, told USA TODAY. Advocates working to end violence against women have warned about a possible increase in violence under a Trump presidency. This is pitiful.I sincerely hope they lock these two abusers up for a long, long, time in general pop. Two brothers in Horry County, South Carolina are facing charges that they treated a mentally handicapped black employee like a slave for years, beating and overworking the man, who lived in squalor on property owned by their restaurant. According to the Charleston Post and Courier, two Charleston attorneys filed a civil suit on behalf of Christopher Smith, who worked at the J&J Cafeteria in Conway for 23 years, but was hideously abused and exploited from 2010 to 2014. 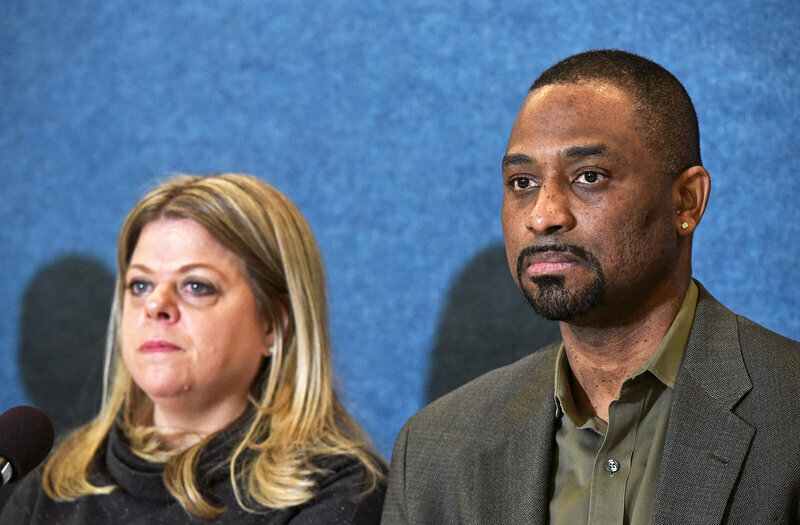 The suit lists 14 counts against J&J owner Ernest J. Edwards and manager Bobby Paul Edwards, including false imprisonment, discrimination and exploitive labor practices. Bobby Edwards, 50, was arrested a year ago in connection with the case. Those charges are still pending. The Post and Courier explained that Smith worked at the Edwards brothers’ business for more than two decades, but it was when Bobby took over as manager in 2010 that Smith’s situation turned ugly. Smith was routinely called the N-word, according to the suit. He was savagely beaten with a frying pan, hot tongs, butcher knives, belt buckles and fists. He worked 18-hour shifts Monday through Saturday and 11-hour shifts on Sundays with no breaks, receiving little pay. His total wages for each year added up to less than $3,000. The complaint against the Edwards said that Smith was often abused on the job, dragged into the walk-in freezer where he could be heard screaming in terror and pain by other employees and begging his abusers not to kill him. Smith told social services workers that he was too afraid to run away or leave his job at the J&J Cafeteria because he believed the Edwards brothers would hurt him even worse or murder him. McLeod and Aylor reported that when Smith was examined by medical professionals and the Conway, SC police, he was covered in scars and other evidence of prolonged, brutal abuse. He was targeted for abuse by the Edwards brothers, they said, because he is black. Terri Upshaw was the wife of departed NFL great, and NFL Player Union head Gene Upshaw – who was probably on the top 10 list of the most respected people in sports. Her family owned the Tadich… And apparently disowned her after her marriage to Gene. The impact of that disownment, and refusal to even meet as a family with Terri and Gene’s kids is raising a few eyebrows in DC, and doesn’t bode well for their new venture. And the competition is tough. Sometimes emotion gets the better of Terri Upshaw, and she appears softer, more vulnerable, younger than her 55 years. Then she regains her composure and continues, in spare, straightforward language, to tell the kind of story we think doesn’t happen anymore in modern America. A dark family story that syncs with a national racial history we like to tell ourselves we’re well beyond. As a young woman working as a hotel catering manager, she met an older football player. An African American. They hit it off and became friends. Then more. He retired, accepted a job in Washington and asked her to move with him. They’d dated for eight months without her family knowing, and she had to make a decision. Word got back to her father. She remembers how much she sobbed in that final family meeting with her parents and siblings. She was 23 and pleading for love — both theirs and her own. She thinks her mother and siblings were crying, but it has been so long. Only the final message was clear. It was 1983. They married in 1986. The black man was the legendary Gene Upshaw, whose 15-year career as a guard for the Oakland Raiders landed him in the Pro Football Hall of Fame. During 25 years in his equally famous second act as the controversial head of the National Football League Players’ Association, he helped usher in free agency, which led to an explosion in player salaries. Upshaw died in 2008, days after he was diagnosed with pancreatic cancer. The union headquarters in Northwest Washington is named Upshaw Place in his honor. Terri Upshaw says she has not heard from her family in decades, true to their final message. While visiting San Francisco a few years ago, she saw a news report that Tadich Grill would open a D.C. location, and last month it did, to great fanfare. 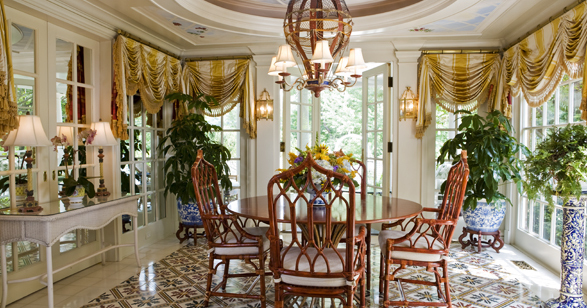 Guests included prominent members of Congress and a Supreme Court justice. Her parents, now in their early 80s, and siblings have never met Upshaw’s sons, 28 and 25. She says they didn’t reach out when her husband died. She says that she has tried over the years to make contact with her family — that they ignored her at her grandmother’s funeral. When her oldest son was 3 months old, she says, she took him to her parents’ house and was ordered to leave. There is surely another side to this, because there are always sides and layers to all of our stories. There is perhaps a heartache, a wish for a daughter’s well-being that was not properly expressed, but it is difficult to know because numerous calls, voice mails, text messages and messages left for the Buich family and sent through Tadich Grill executives explaining Upshaw’s contention and requesting comment were not returned. Her sister, reached by phone, declined to comment. 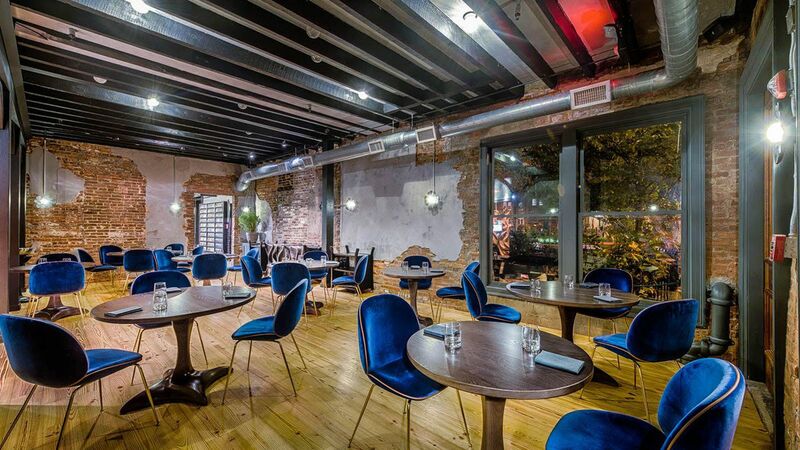 Upshaw, who had never spoken publicly about the rift, says she is telling this story now, in response to a reporter’s query, because with the new restaurant, she is talking more to friends and “it sounds archaic,” she says.